Observing that we live in a world that admires only the extraordinary, Lee shifts his focus to what is often thought to be as banal and insignificant. His practice therefore aims to highlight moments of the ordinary, while through his construction of them illustrating the beauty in their familiarity. Both elegant and sombre, the images shown through video, installation and photography work through abstraction and the uncanny to grapple with the everyday. 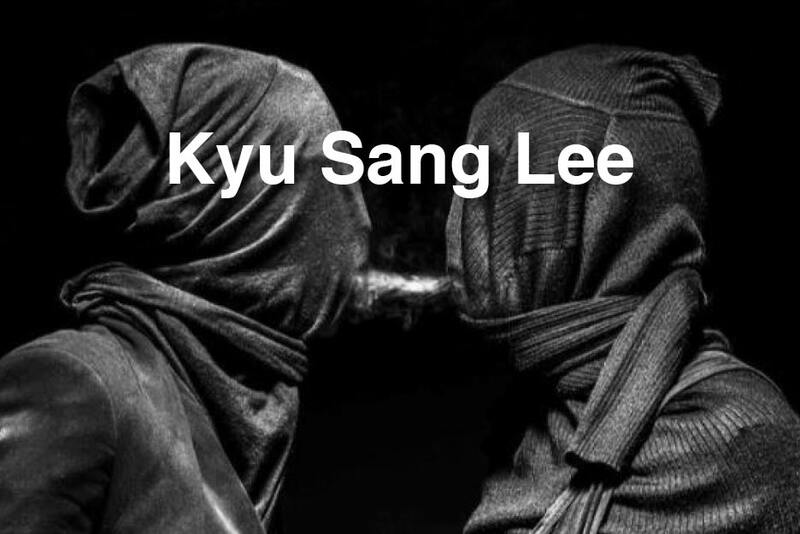 Despite only recently graduating, Kyu Sang Lee holds a promising career in the art world. In 2017, he won the Celeste Prize in Photography, juried by Fatoş Üstek. 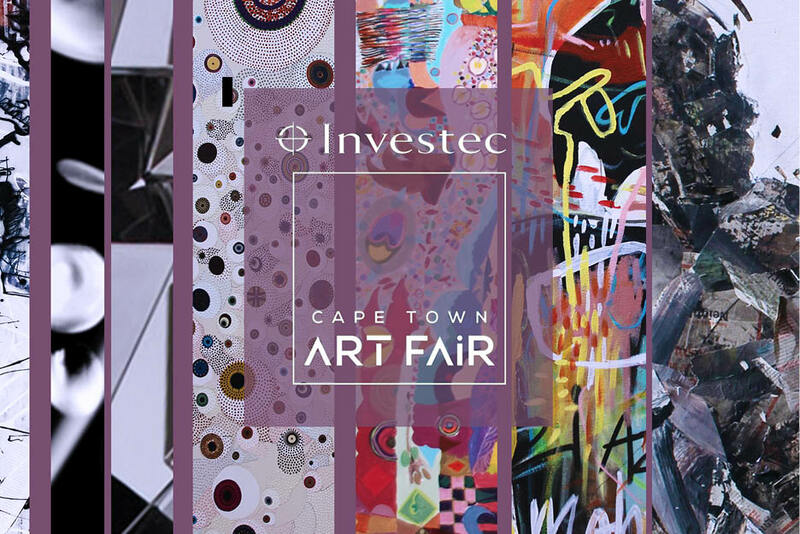 He also boasts a handful of awards from the University of Cape Town, including the Cecil Skotnes Award for Most Promising Artist. 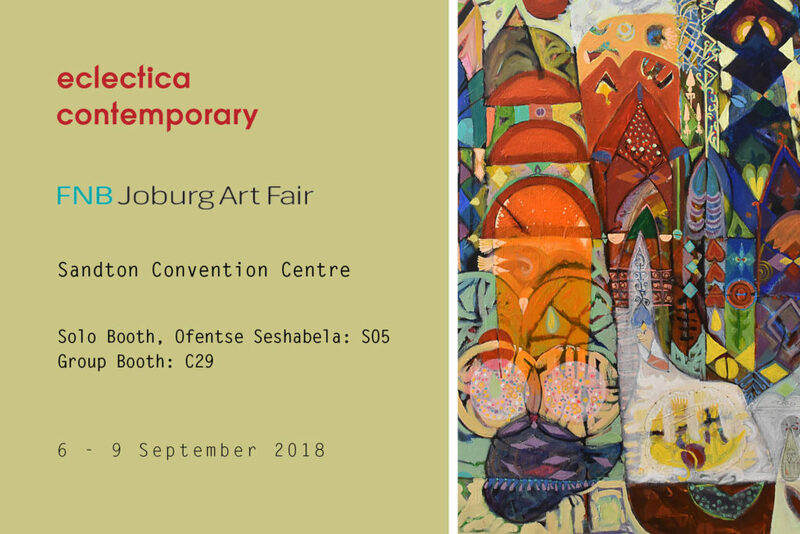 Since then, he has exhibited with Eclectica Contemporary on numerous occasions, including travelling with them to exhibit in Paris in 2018 and being featured in the Investec Cape Town Art Fair’s 2019 SOLO section. 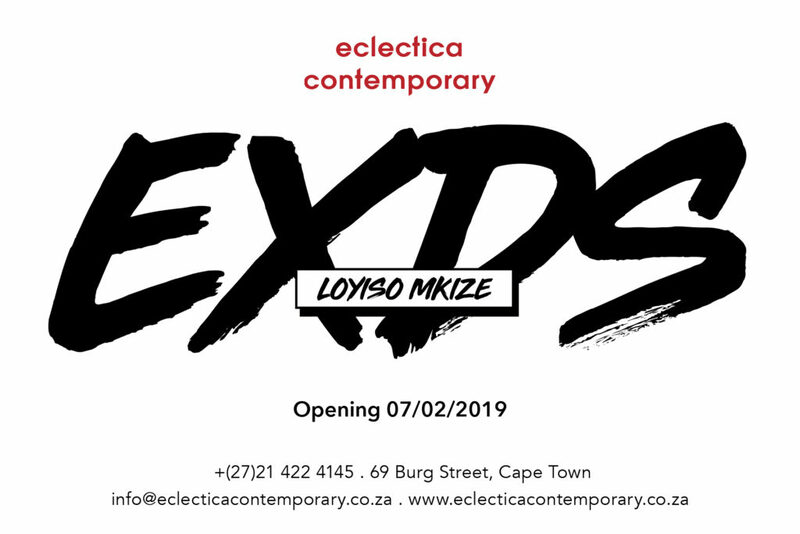 Lee’s work will be featured at the Zeitz MOCAA from May 2019. 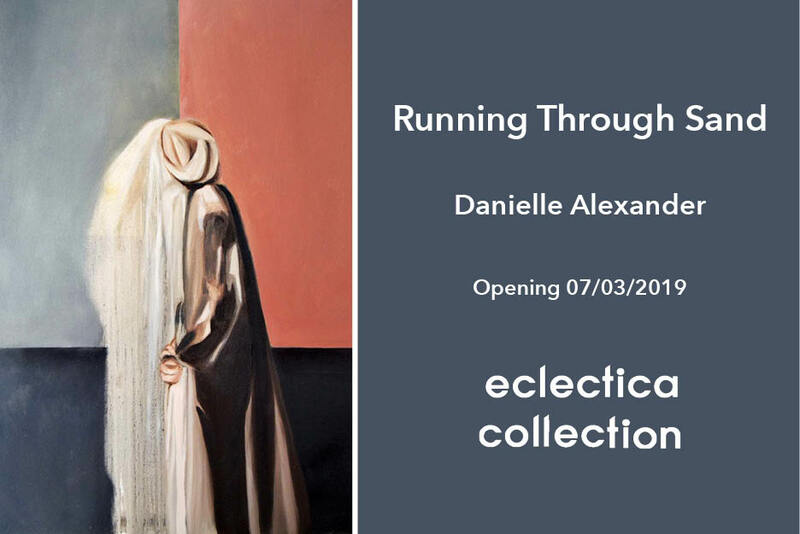 Running Though Sand , a solo exhibition by Danielle Alexander, is a wandering through identity – what is assumed, what is known, what is fixed and what needs fixing. Duality and double meanings ring through the exhibition, as Alexander sets up visual questions or moments for pause where the viewer may discover a pattern or a mirror revealing a set of ideas that might feel safe or slightly sinister. Resonating through the work is a soft subtleness that works between the nostalgic and dystopic. Exploring contrasting tensions and liminal spaces with interest in notions of the ‘authentic self’, the necessity for disillusion in order for transformation and processes pertaining to the acceptance of the shadow, the work goes on a journey of deconstruction and reintegration. Fragments of canvas sewn and pinned together play with the layering and revealing of varying explorations of repetitive mark making. 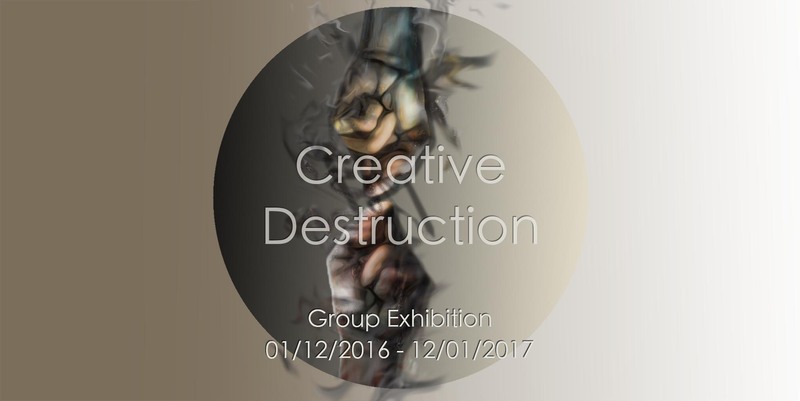 This seeks to highlight the cyclical and fragmented nature in which we conceive and understand ourselves and the world. 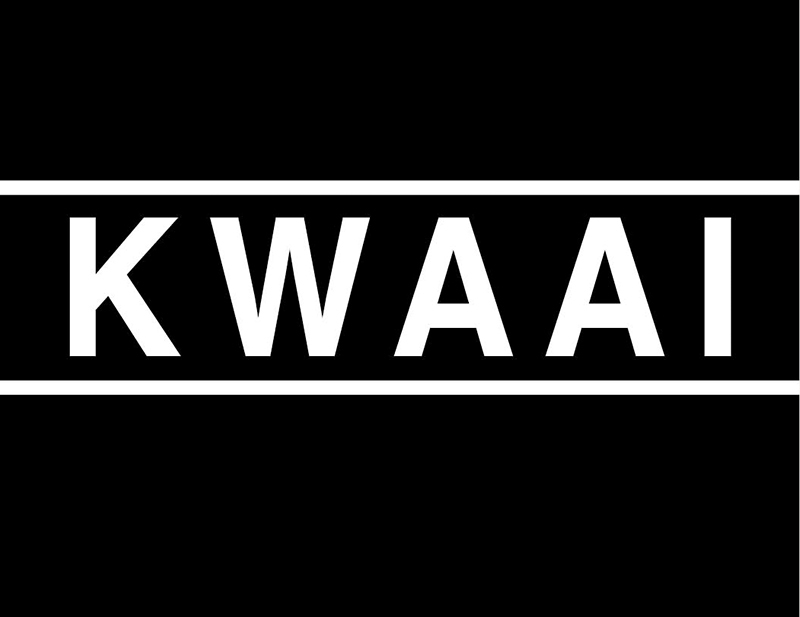 KWAAI, this year’s summer exhibition at Eclectica Galleries, curated by Christina Fortune & featuring: Mikhailia Petersen, Kirsten Arendse, Joshua Williams, Scott Eric Williams, Rory Emmett, QUEEZY, Danielle Alexander, Matthew Wareley, Stephané Conradie, Gary Frier, Hasan Essop, Husein Essop and Dion Cupido, seeks to explore the question of “colouredness”. 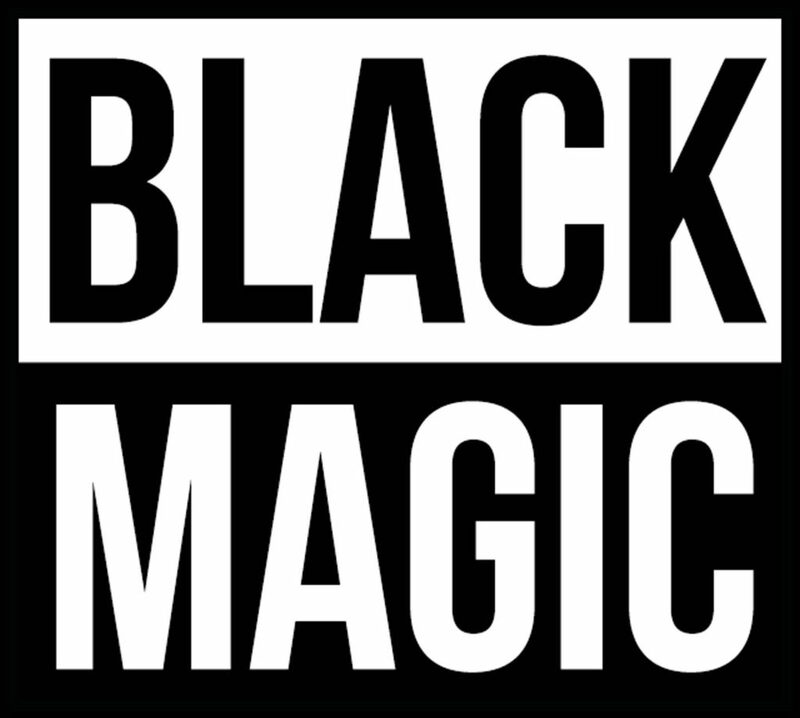 The purpose of the exhibition is not to provide any answers, but to open a conversation and celebration around ideas of the coloured identity and the lived experiences of those who carry it. It will attempt to shine a light on the continued hardships faced by coloured people as a consequence of Apartheid, and simultaneously contribute positively to the coloured community. 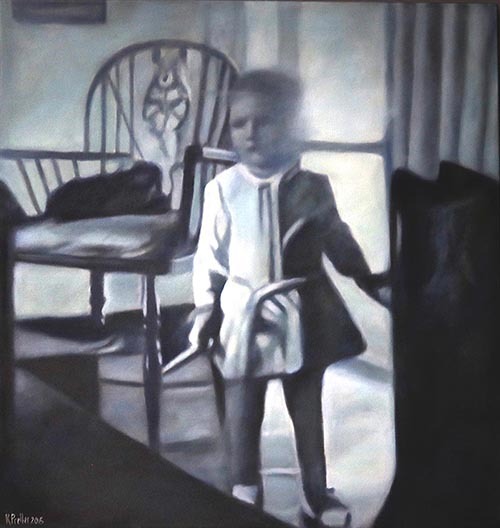 American-born artist, Kara Taylor received her Bachelors of Fine Art in 1997 from the Maine College of Art. After completing her studies, Kara lived in Maui for a few years, honing her skills as a painter and completing her first solo exhibition. Kara recognizes that many of her artistic influences and the themes which she draws on are due to being fortunate to travel to Asia and India. 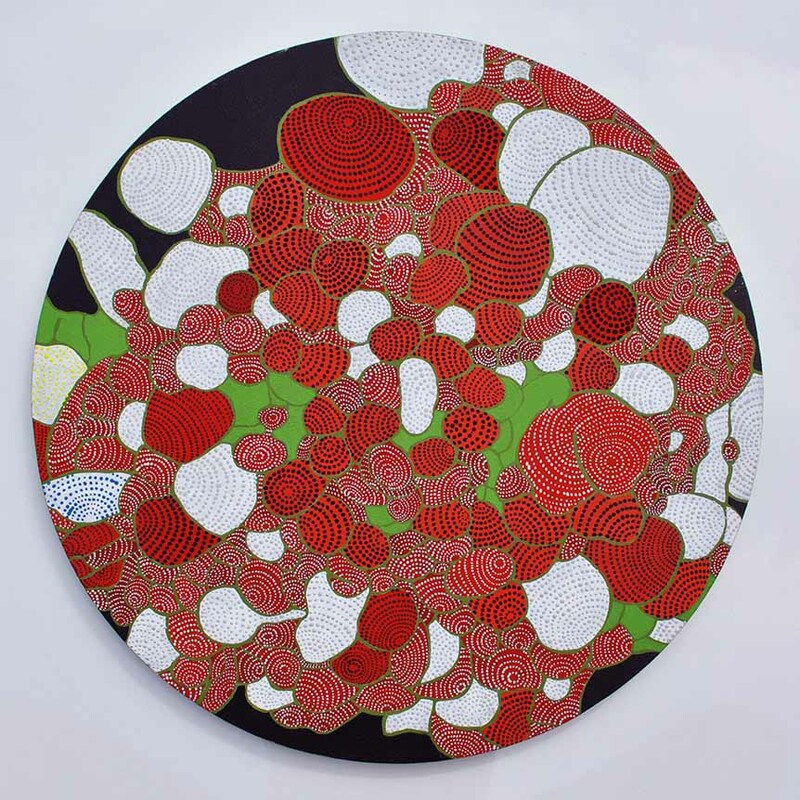 Kara has exhibited in various group shows throughout America’s North East and New York City. In 2000 she opened her own gallery, the Kara Taylor Gallery, on the island of Martha’s Vineyard in Massachusetts, which is a space that she has created to showcase her own work. 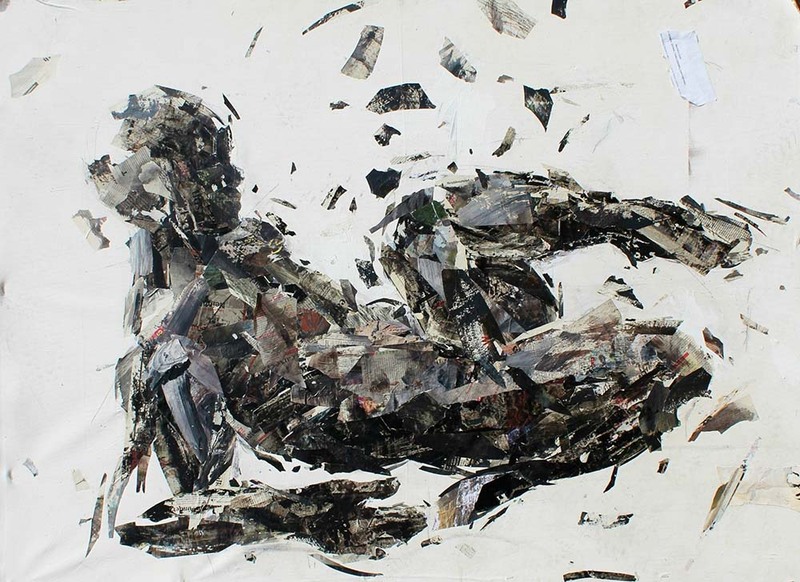 Throughout her practice, Kara has used mixed media to build up her two-dimensional artworks. Each piece she creates shows her meticulous focus in the layering process, demonstrating her understanding of the materials used. Across the series, narratives begin to unfold in which the artist attempts to address dual possibilities of division and unity existing within social binaries and the structures that uphold cultural standards. 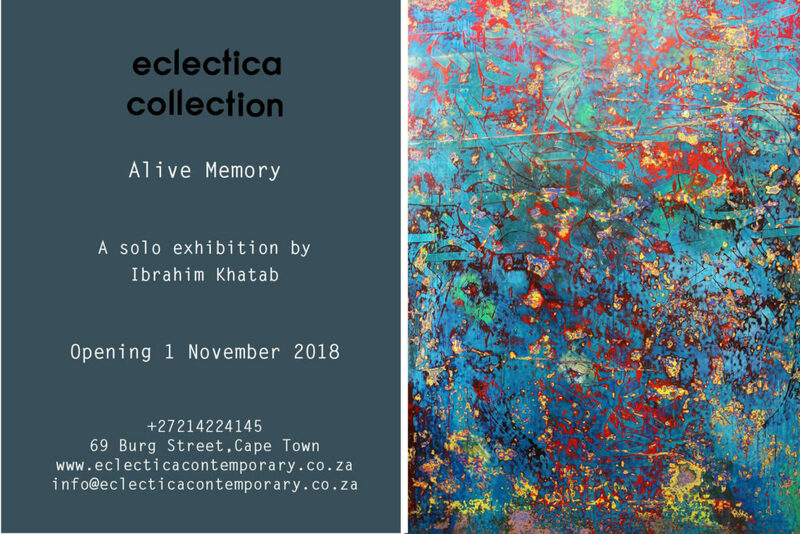 Eclectica Contemporary welcomes Egyptian artist Ibrahim Khatab’s exhibition “Alive Memory” to it’s gallery. 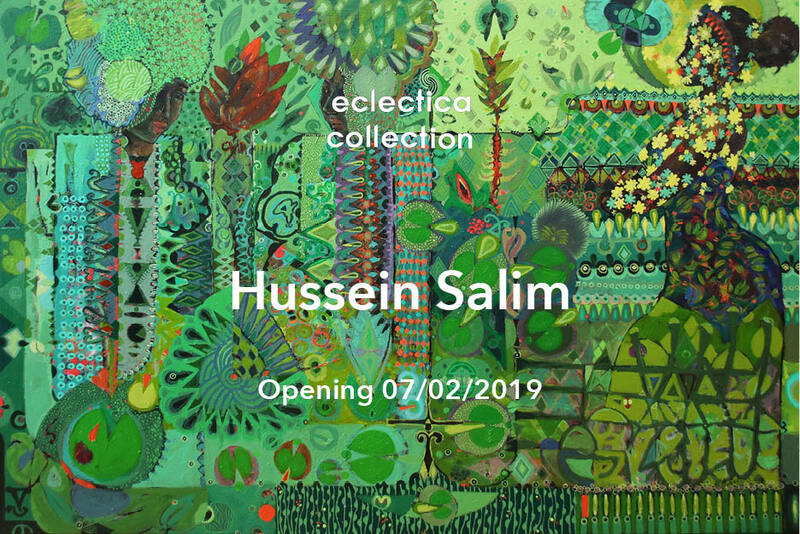 The work showcases the artist’s deep love of calligraphy and lasting sentiment through a collection of paintings, which demonstrate his interest in colour, space and arabic script. Ibrahim Khatab’s shares Pablo’s sentiment towards the mastery that is the arabic script, which he fell in love when he was just 10 year’s old. As such calligraphy and language is very central to Ibrahim’s designs and life experience, he is able to use the script in varied ways to depict how objects can hold expression beyond the human experience. 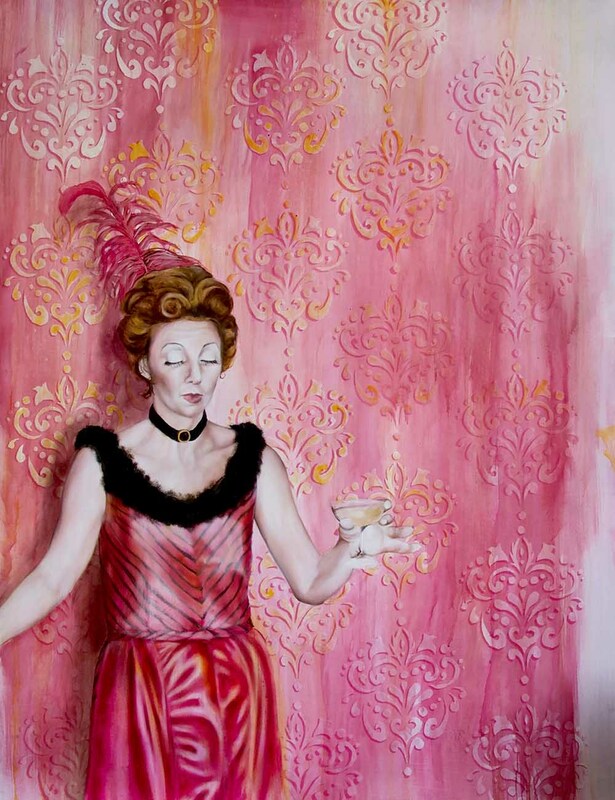 Passionate painter, Claudia Treagus, doesn’t have the everyday education axis into art. She took art in high school and only 15 years later rekindled her relationship with the medium, during an uncomfortable pregnancy. In the sleepless late nights to early hours of the morning she found comfort in painting the subtle beauties of daily life, highlighting that which we often take for granted. 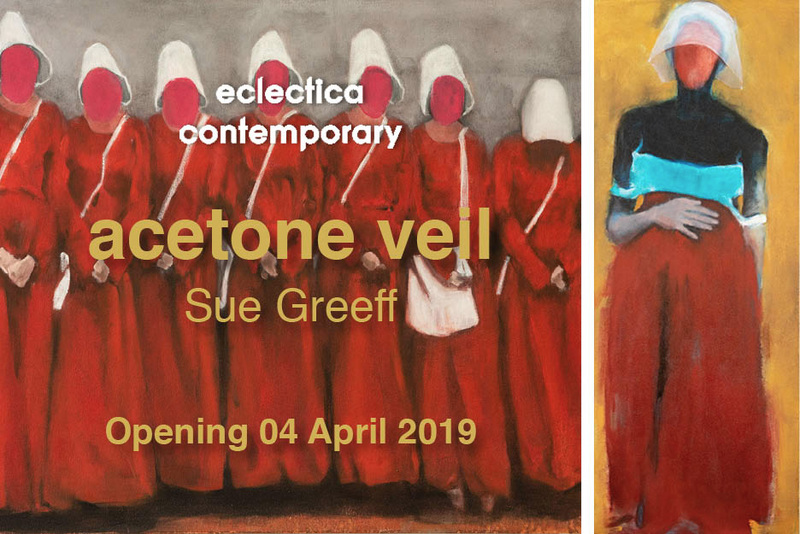 This current body of oil paintings is a little different contextually to her previous works, as it’s based on her experience in Capricorn Park (a shipping container converted into a weekly art class in the oldest township in Cape Town). Claudia explains that the surrounding community exists within confined spaces and informal living – a different ‘daily life’ to her own. 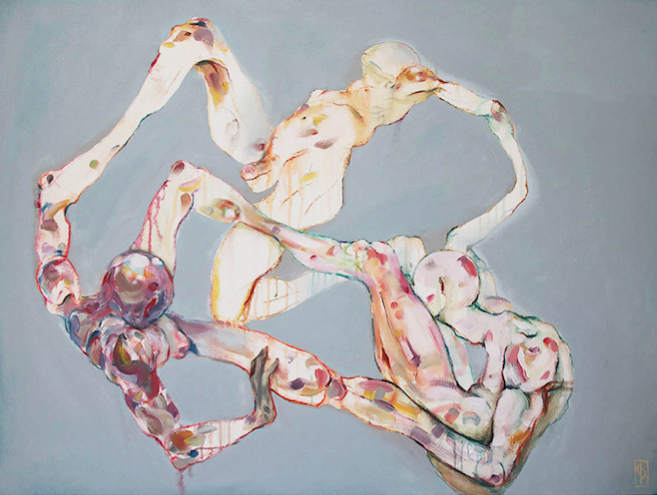 Through self-reflective and often introspective positioning within her paintings, Claudia navigates her own emotive responses and sensory experiences of this place. 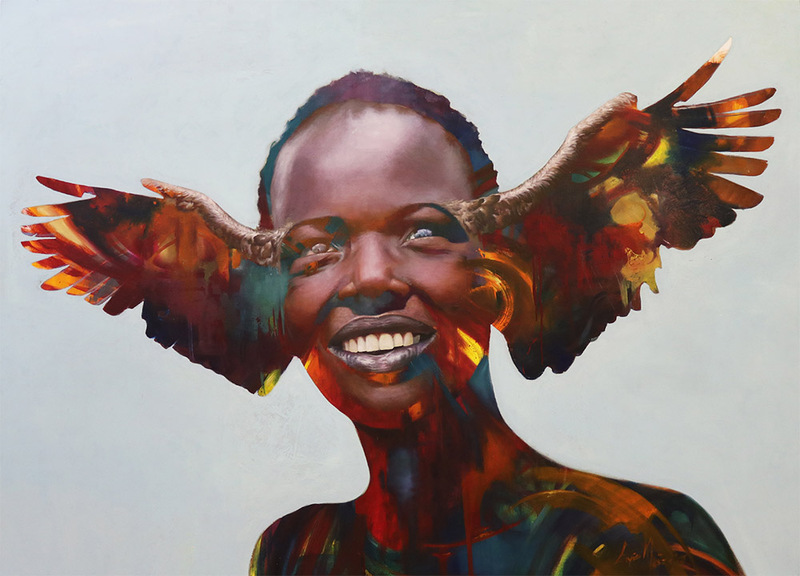 Bright oils convey the richness of how individuals and life within this social space affect her, bringing light to her own history and flawed presence. Often she finds herself pausing throughout these works, reflecting on the genuinely captivating feelings that occur (within the space) and attempting to recreate that sensory moment in her brushstrokes: visceral and dynamic, just like the community of Capricorn. As Anthony say’s “It is human nature to forget. 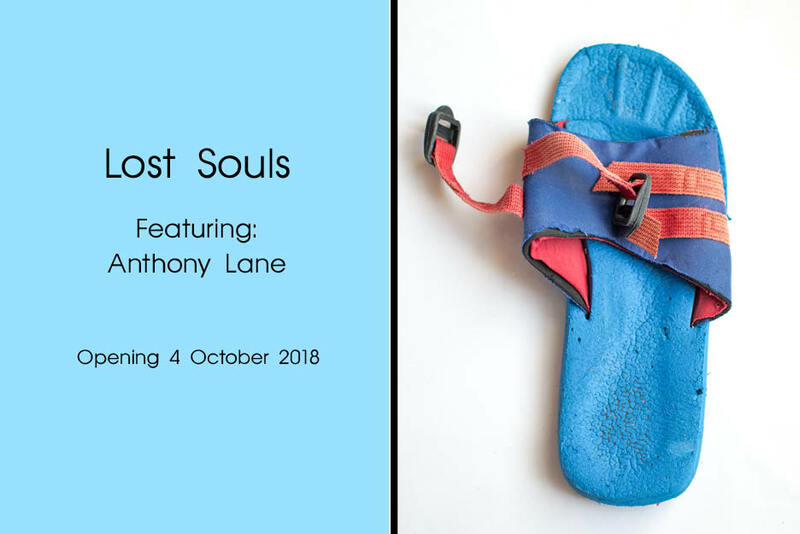 As we are bombarded with so much new information on a daily basis, it is my wish for The Lost Souls Project to keep the dialogue alive. The plight of refugees the world over is ongoing. They are faced with the daunting challenge of building new lives in unfamiliar environments, carrying their memories of lost homes, families and countries with them. The possibility of returning to the lives they once had, a dream that may never be realized”. 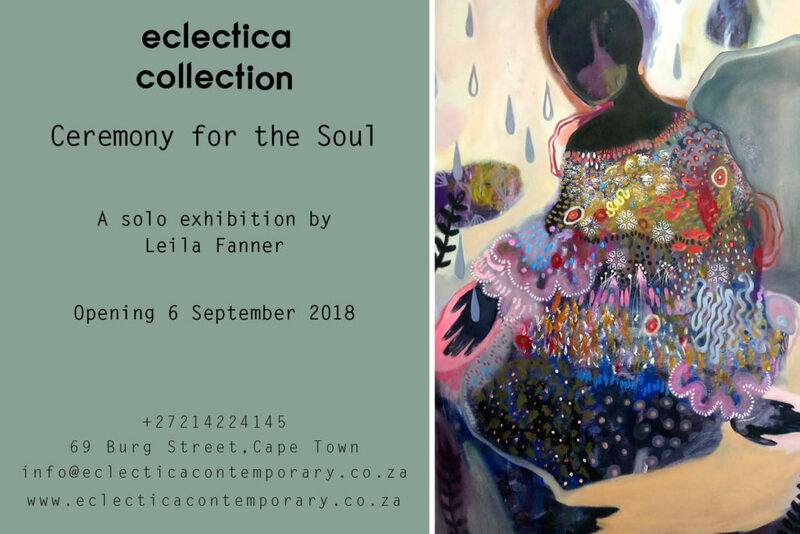 Presenting a series of paintings imbued with vivid colors abstract motions and delicate details, Leila Fanner is featured as September’s invited artist for Eclectica Collection. For Leila, painting becomes a meditation in an external sense, and a way of incorporating vistas of this world and others. Central to her body of work and seen in others that have come before, is the depiction of a single feminine form. 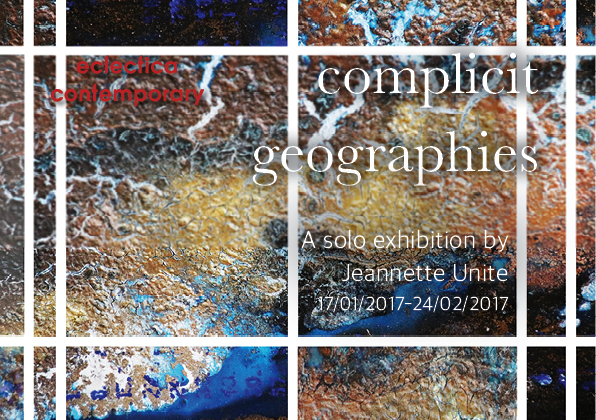 The figurative presence in her work elaborates on notions of sentience, with each creation existing as a guide or an explorer-companion. The figures presented seem to be a mythical and metaphorical imagining of being immersed in the natural world while experiencing ties to the ephemeral. 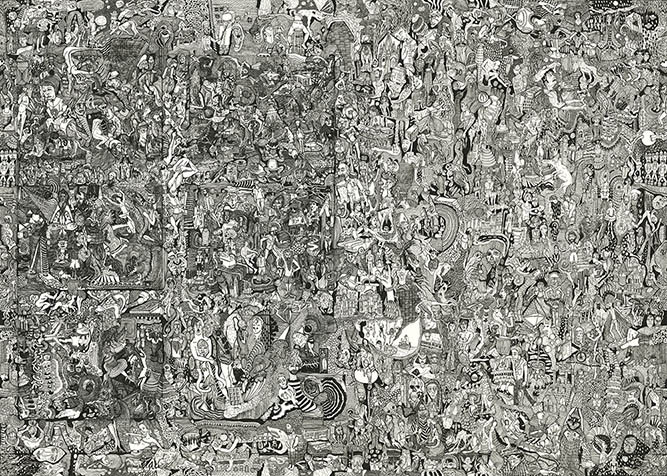 Throughout the works, symbols and narratives circulate through each piece creating an elaborate tale with exuberant tones and illuminating imagery that converse on the traversing of our realms of consciousness and existence. 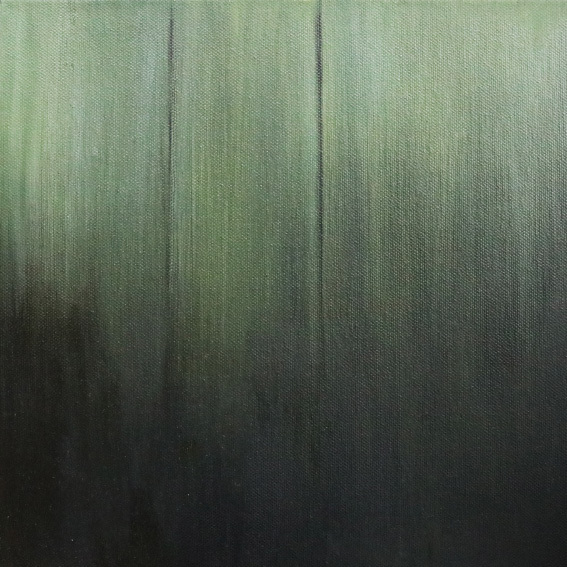 The works are evocative and intricate, calling for self reflection and a moment of quiet absorption. 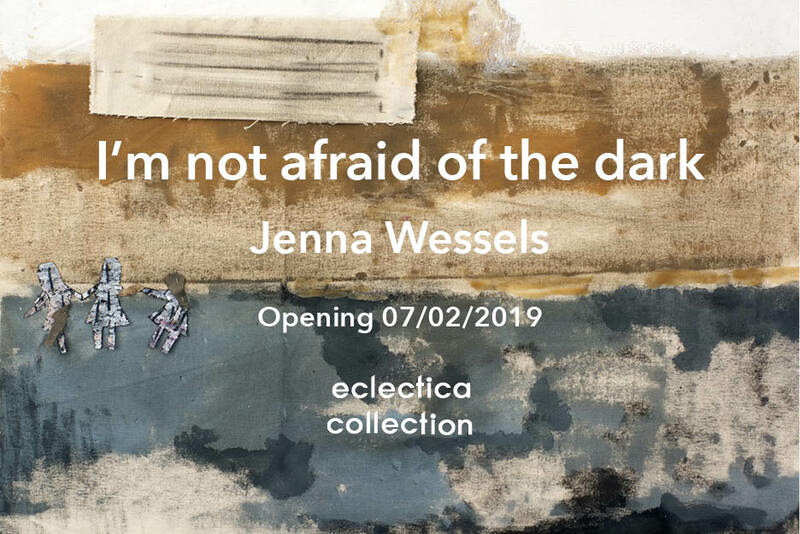 The exhibition is an exploration of the tensions and anxieties, often taken for granted or ignored as the ‘norm’, through painting and mixed media works on varying scales. 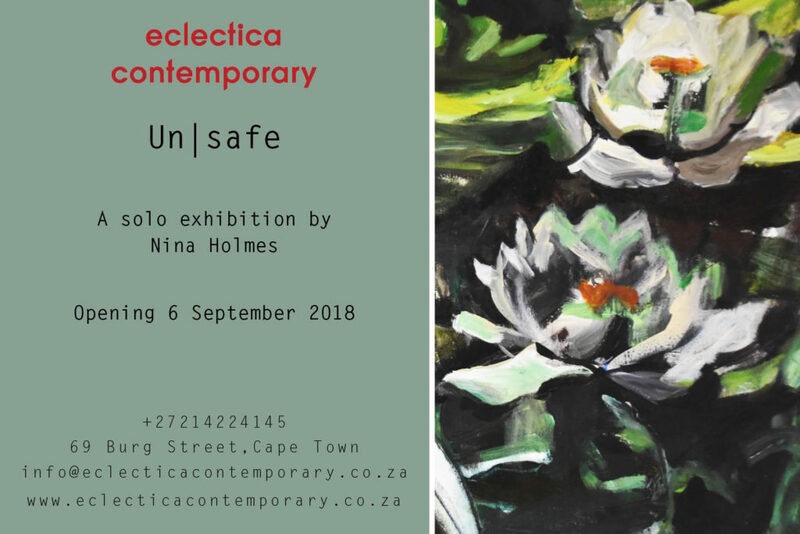 Nina has contemplated, through these works, notions of risk, safety, measures for protection and how we view the people and institutions that surround us. In some ways harking back to the stylistic and technical approach of impressionist painters as a kind of visual respite from the complexities and busyness of today’s world, she has juxtaposed contemporary clues and cues into each work that make them startlingly current. Un|safe forms a nuanced articulation of the blurry assumptions that shroud us in a kind of safety while maintaining the equal potential to trap us. Navigating these themes through traces, off cuts, stretched and un-stretched materials, Nina has formulated a series of paintings that are as challenging as they are aesthetic. The work pushes the viewer to see beyond comfort and pleasantries, richly available in her plush and sumptuous palette, and to think further about what surrounds us in our daily lives, to recognize what is presented right before our eyes. 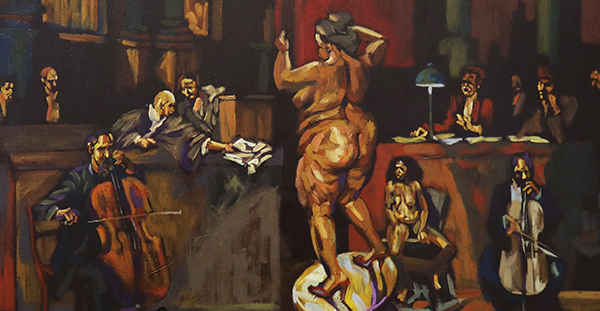 Each of the artists we have chosen utilize their own individual techniques to convey commentary on the world as they experience it. 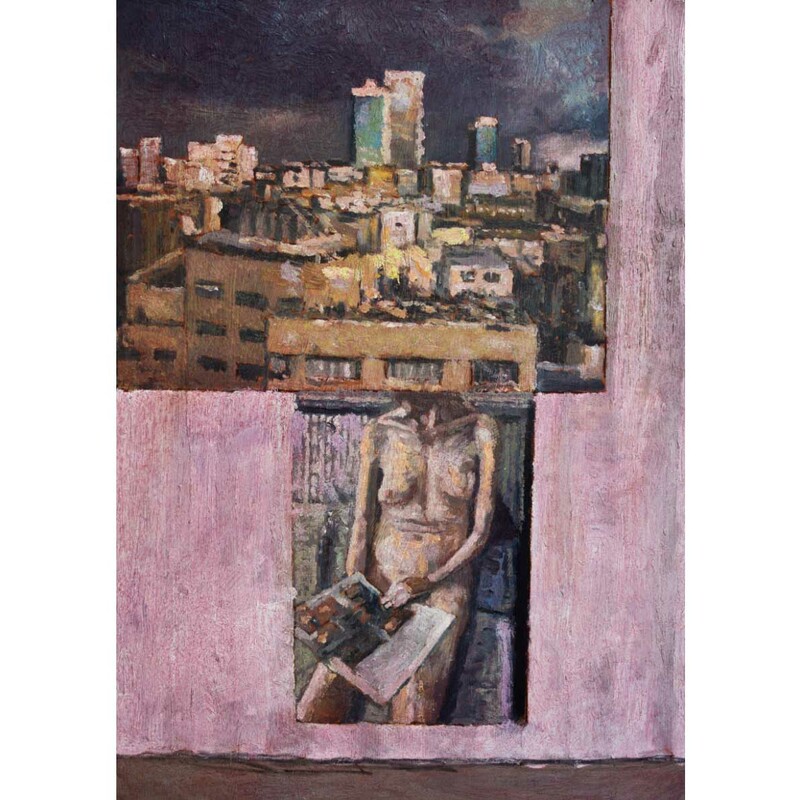 Working mostly on large canvases, sometimes coupling or grouping panels together, Georgia Lane presents In this Time, a solo exhibition that explores the juxtaposition of time and place, questioning the boundaries of memories and actions by creating intricate paintings that reminisce and record places past. 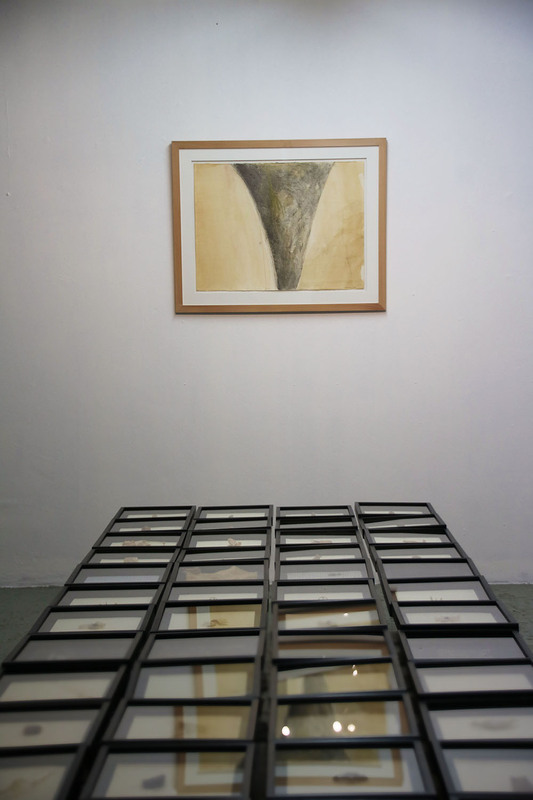 The exhibition is set up in order to confront these terms and imagine their different possibilities, less bound by the assumption of being lesser than but rather reaching towards an understanding of being multiple and expansive. 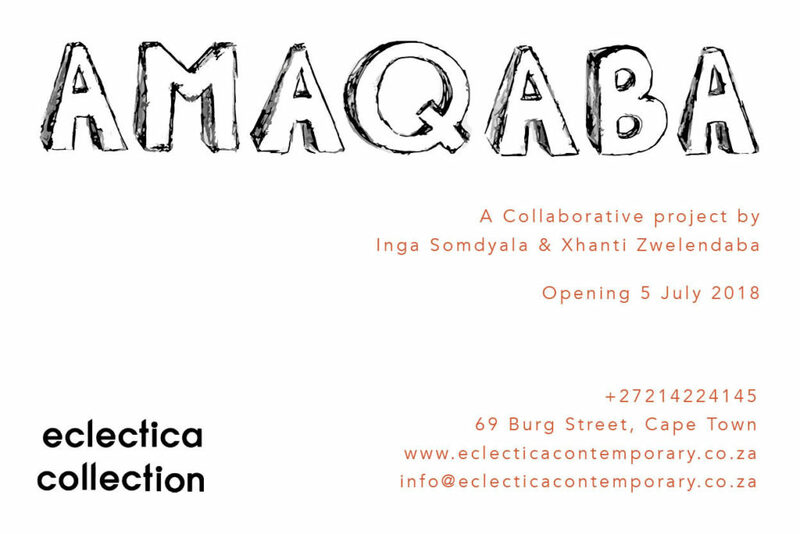 Exhibition opens Thursday, 05 July 2018, 18h00, at 69 Burg Street, Cape Town. 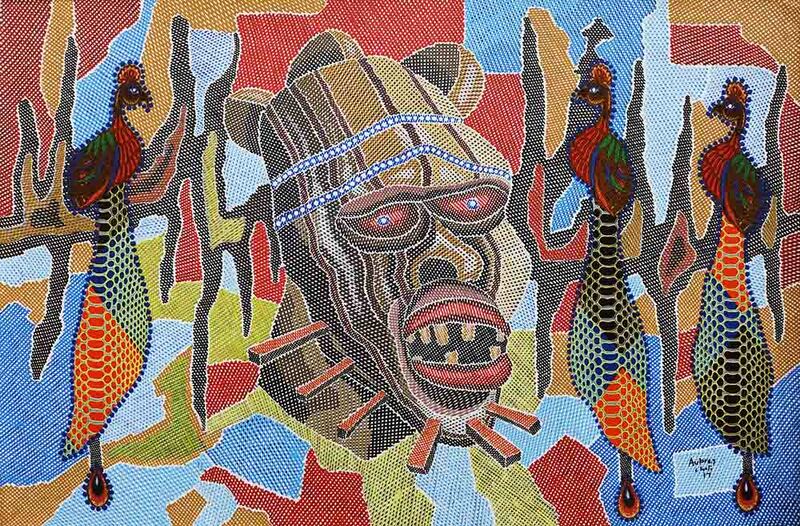 Natasha’s paintings take inspiration found in her travels and her love for the rich African images surrounding her life. 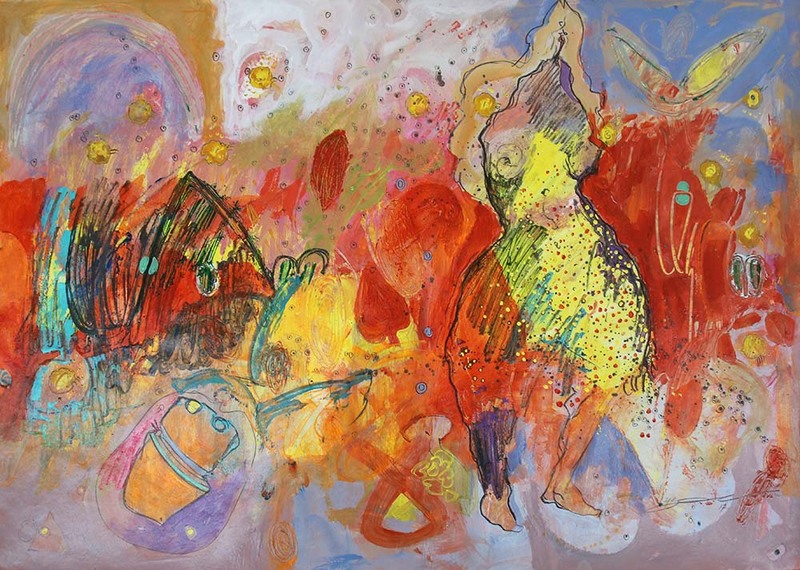 Her experience is transferred onto canvas in a myriad of expressive brush stroke and harmony of colour. 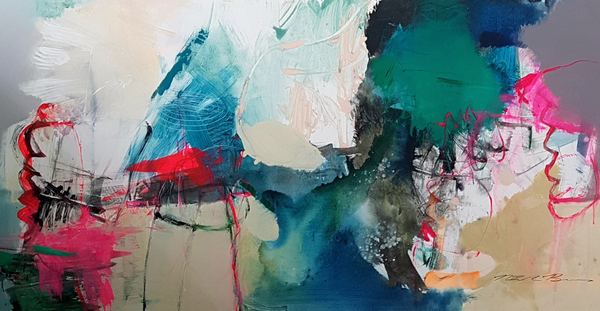 Natasha’s paintings are abstract in that her creative process is to absorb the sensation of her physical experience then transfer to the canvas without looking at the subject. The pull the edge of a thread. To unravel the cloth. To grab hold of something and walk with the eventuality it leads towards. Or away from. 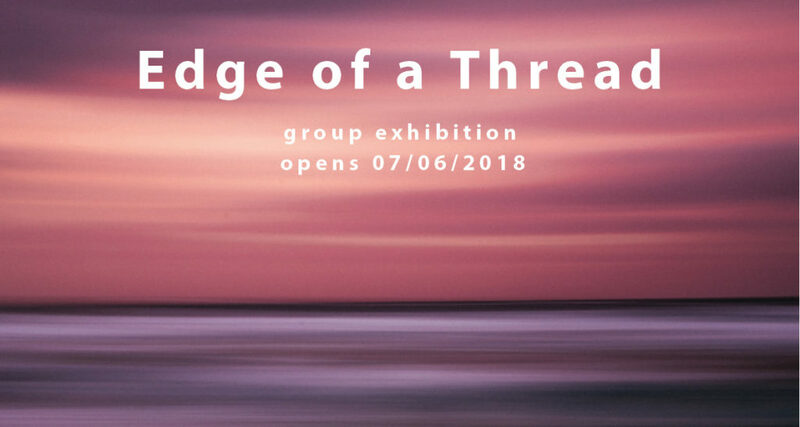 The Edge of a Thread exhibition is a group show that wraps itself around and through any and all mediums, with artists weaving and winding through their own practice, stitched together with cement, pixels, fragments, leaves and pigments within the Eclectica Contemporary gallery space. Exhibition opens Thursday, 07 June 2018, 18h00, at 69 Burg Street, Cape Town. The strength held by mothers was once described by Maya Angelou as “a hurricane in its perfect power. Or the climbing, falling colors of a rainbow”. 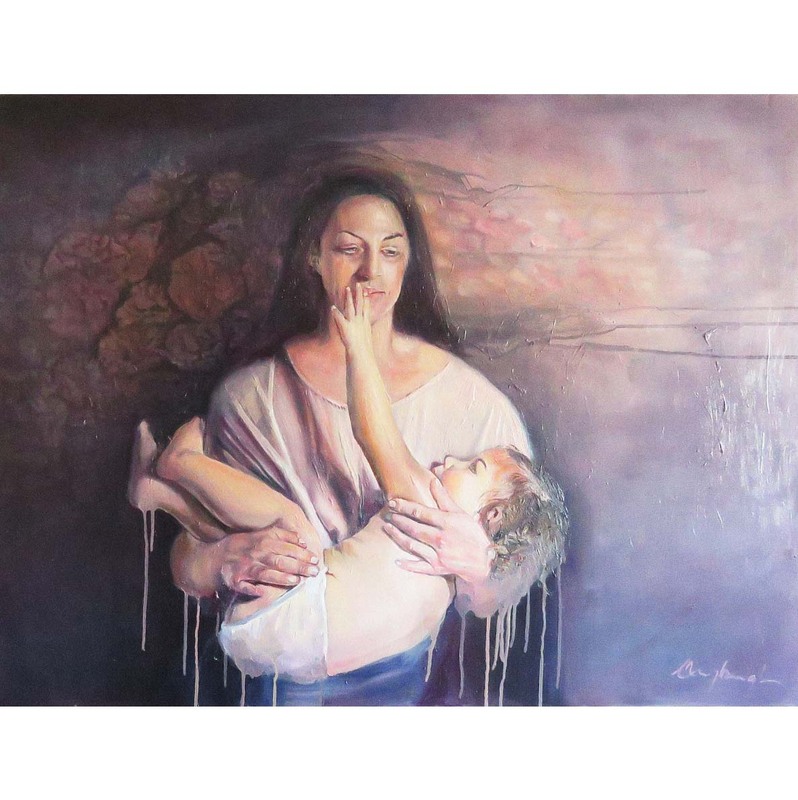 The process of building this body of work and maintaining life as a single mother resulted in Christa Myburgh’s solo exhibition being something like the climbing and falling rainbow that Angelou describes. In this exhibition, intensely personal and intimate events contribute to an undercurrent theme of fragility, illusion and absurdity. 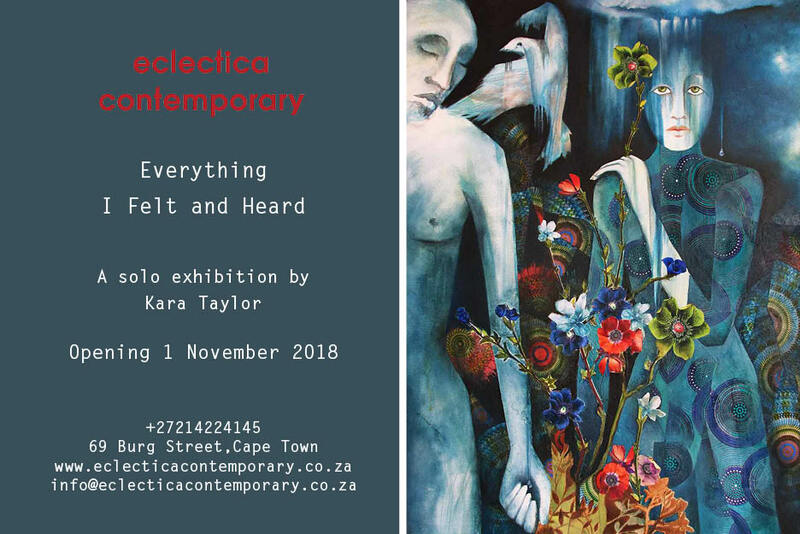 For her solo exhibition at Eclectica Collection, Myburgh undertakes size, perspective and chiascurro to illuminate a lived reality that she associates with her life as a mother of two young children. 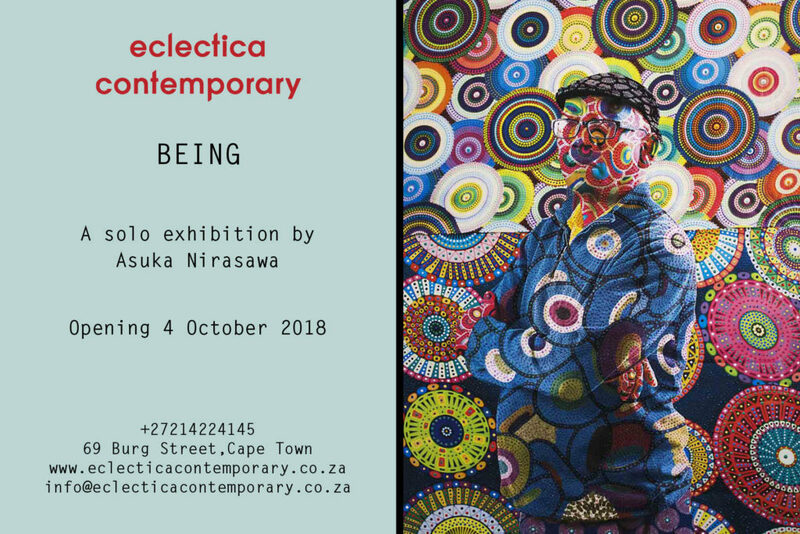 Exhibition opens Thursday, 05 April 2018, 18h00, at 69 Burg Street, Cape Town. The title of this new exhibition alludes to the physicality of the work – in forms and shapes and in making, from the intertwined roots and branches of trees reaching out across the canvas like fingers and legs and toes, to the spliced and re-articulated sculptural figures. ‘Limb’ gestures through language and imagination. 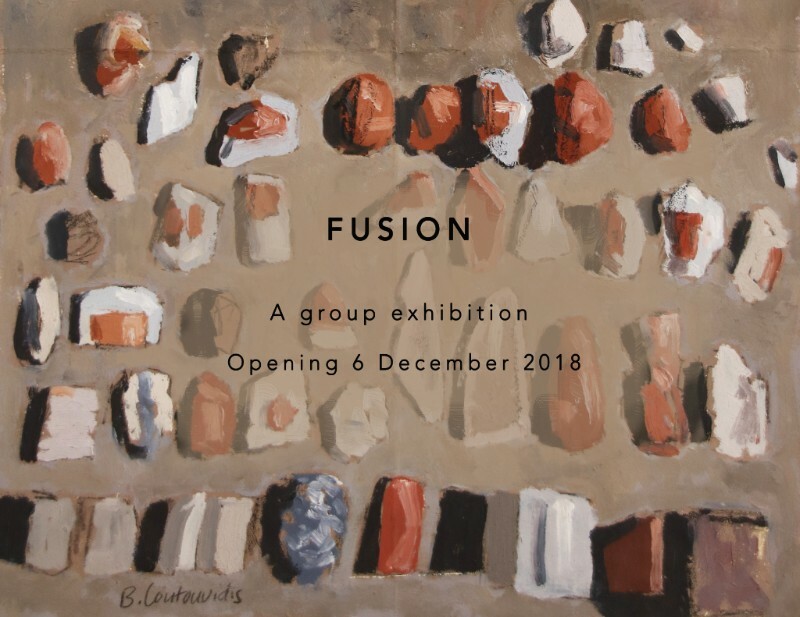 The works in this exhibition explore and illustrate the notion of speaking through movement, using different mediums to articulate different thoughts that come together around the central connection of gesture, different notions of body and the worlds that we find ourselves in. 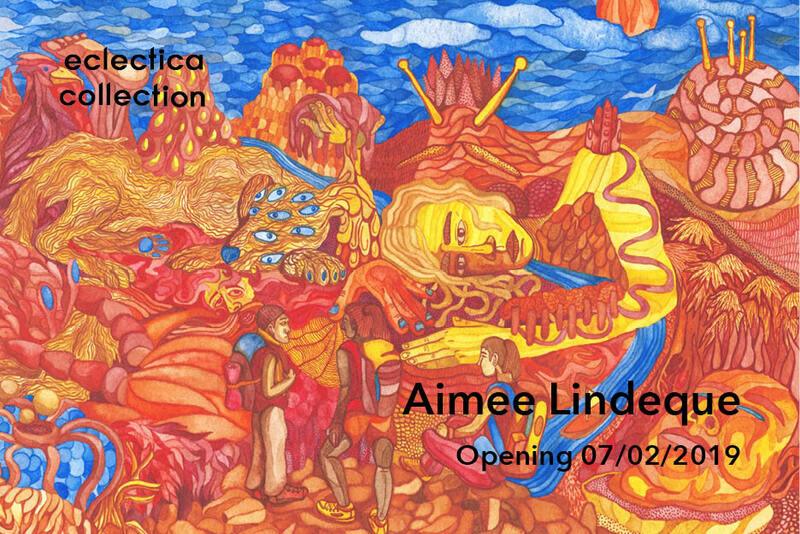 Exhibition opens Thursday, 01 February 2018, 18h00, at 69 Burg Street, Cape Town. 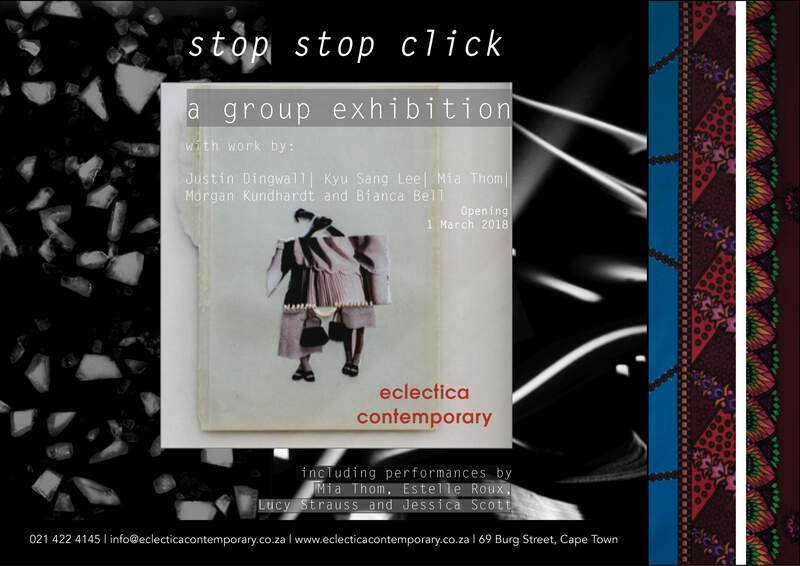 Exhibition opens Thursday, 01 March 2018, 18h00, at 69 Burg Street, Cape Town. 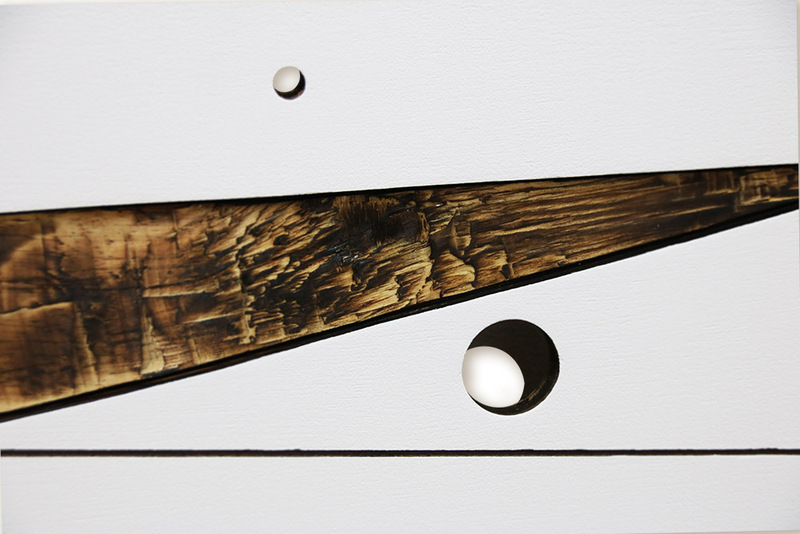 This body of work is an investigation into the notion of construction and the veneer of ‘finishing’ an artwork. Drapery and cloth are used as a metaphor for ambiguity, passivity and tension to confuse the distinction of content, subject and peripheries. 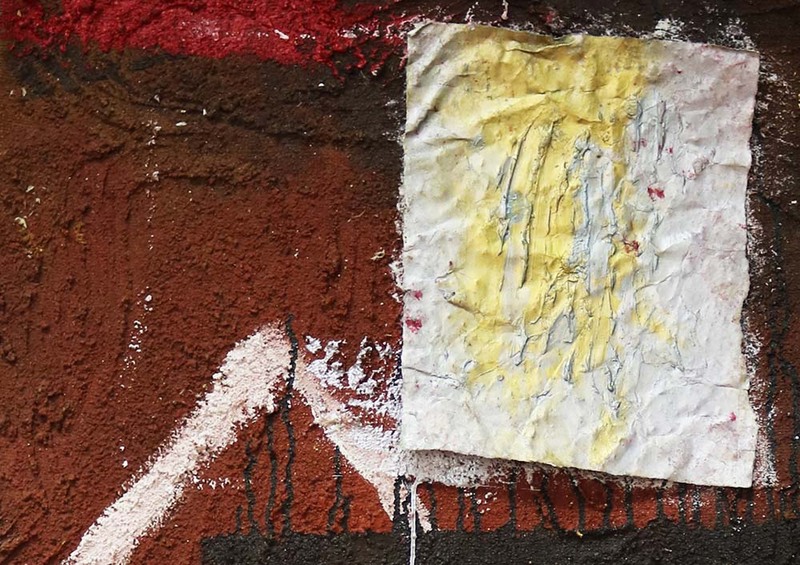 The traditional medium of oil paint is juxtaposed with the industrial medium of wall crack filler to highlight the faults or cracks in these physical and conceptual confinements. Exhibition opens Thursday, 07 September 2017, 18h00, at 69 Burg Street, Cape Town. Exhibition opens Thursday, 04 January 2018, 18h00, at 69 Burg Street, Cape Town. Exhibition opens Thursday, 07 December 2017, 18h00, at 69 Burg Street, Cape Town. “My artwork always needs to convey my passion. What I believe, is that artwork is supposed to reach beyond the boundary of the frame and break the laws of physics, society and the very way our minds work. Preller is well-known for how she engages photography and painting. With the use of personal archives such as family albums and home movies, she creates a momentary nostalgic recollection of the banal. By focusing on these memories she valorises these brief moments of everyday life that often get overlooked. The use of paint as a medium adds to this notion as it requires much delicacy and tenderness when rendering the real, thus it becomes a specific memory pulled out of the past, laboured on with care and brought into timelessness as an object unable to fade as memories do. 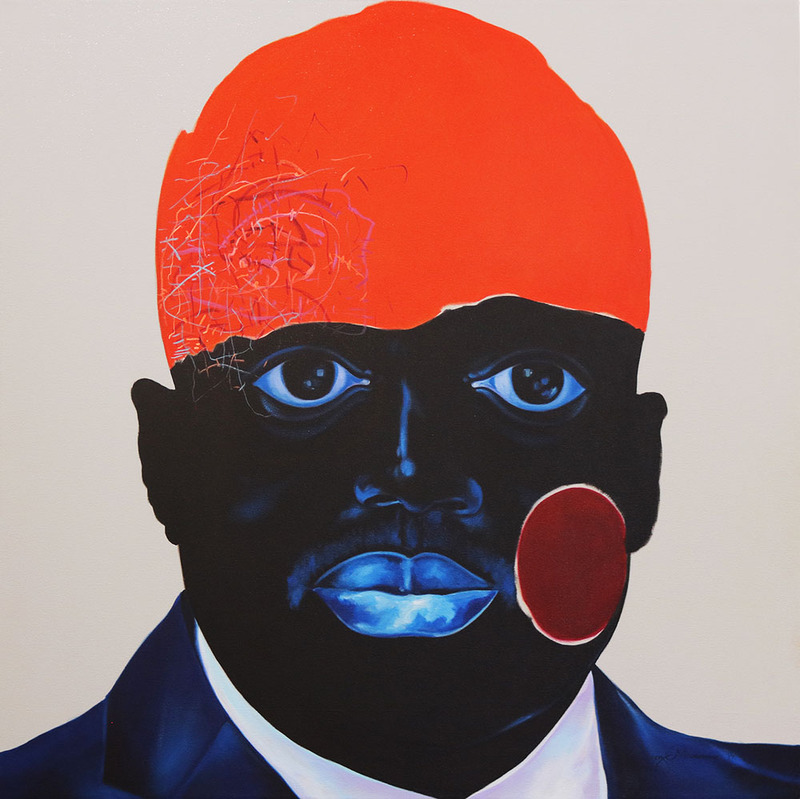 The use of photography as origin of subject for these paintings creates a dialogue between the media, as it evokes ideas around representation when something becomes so translated. A photograph is often seen as captured truth, yet painting can often be seen as fictitious – like a memory. Thus, the translation of memory, to photograph and then to paint starts to convey the struggle of holding onto an experience as they become further fragmented; lingering only as fragile traces. Reminding the viewer of the preciousness of everyday lived moments. 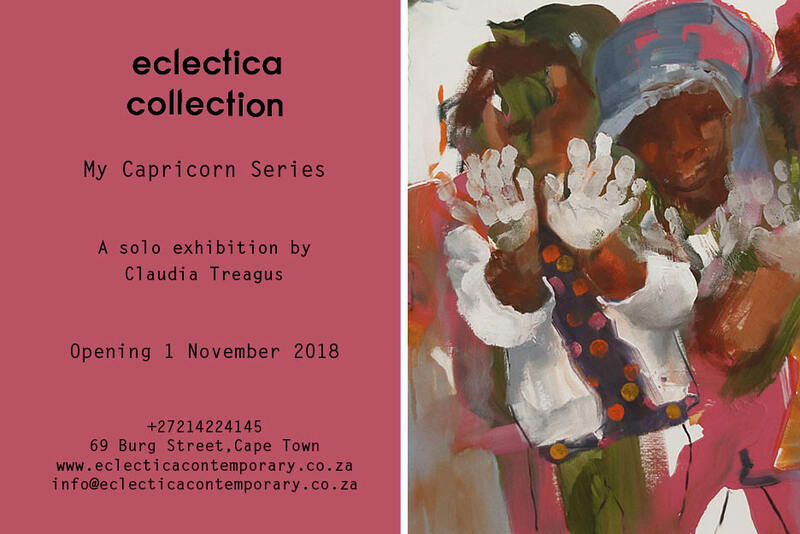 Exhibition opens Thursday, 02 November 2017, 18h00, at 69 Burg Street, Cape Town. 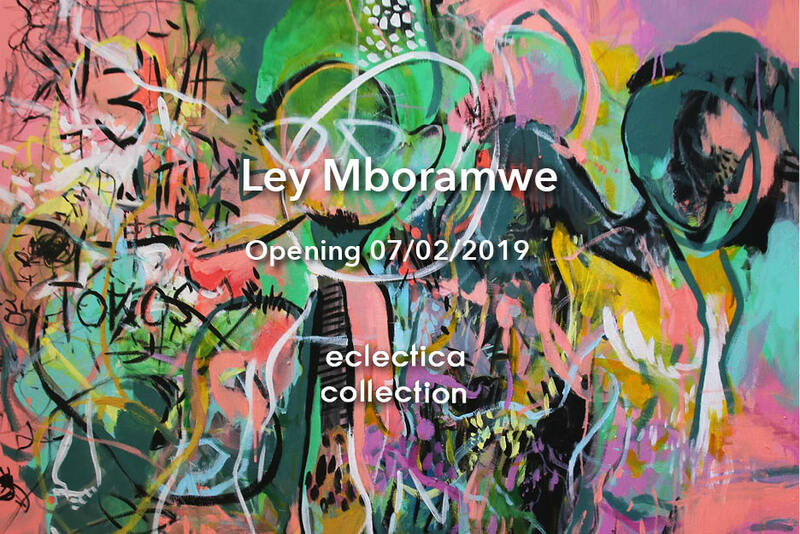 Eclectica Contemporary is honoured to announce the opening of Not a Judge, Not a Saint, a solo exhibition featuring: Johannesburg based artist, Layziehound Coka. Not a judge, not a saint, a “neither-nor” statement with a slightly deceiving sense of neutralism reveals the ease at which we dissociate ourselves from the judgements we make. Layziehound questions the power trajectories prevalent in society, be they religious and socio-political ideologies or those whom uphold them. 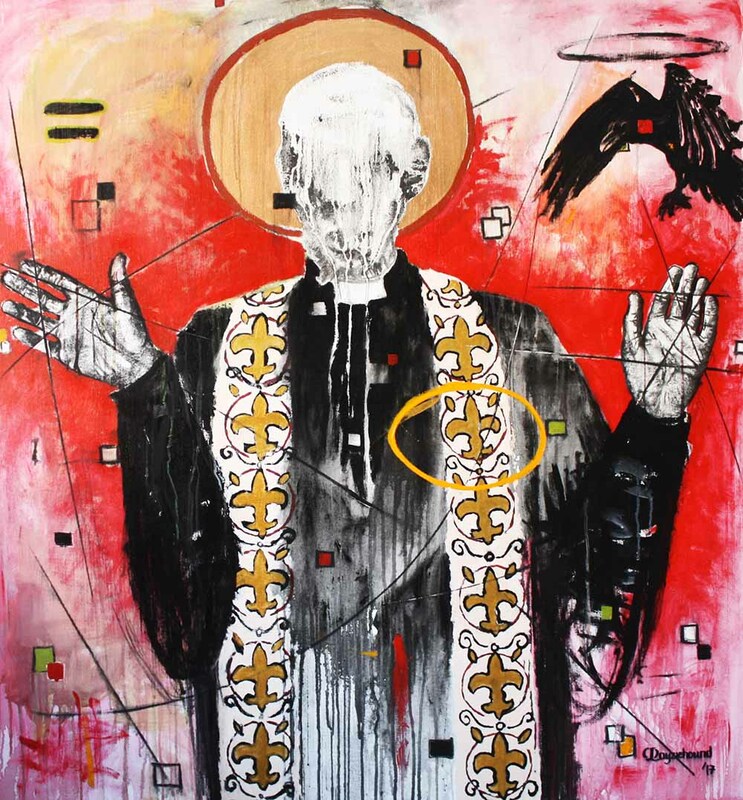 His large, gestural body of work expresses a turbulent experience of conflict when tackling the so-called moral compass the artist and those of us alike are taught to live by. 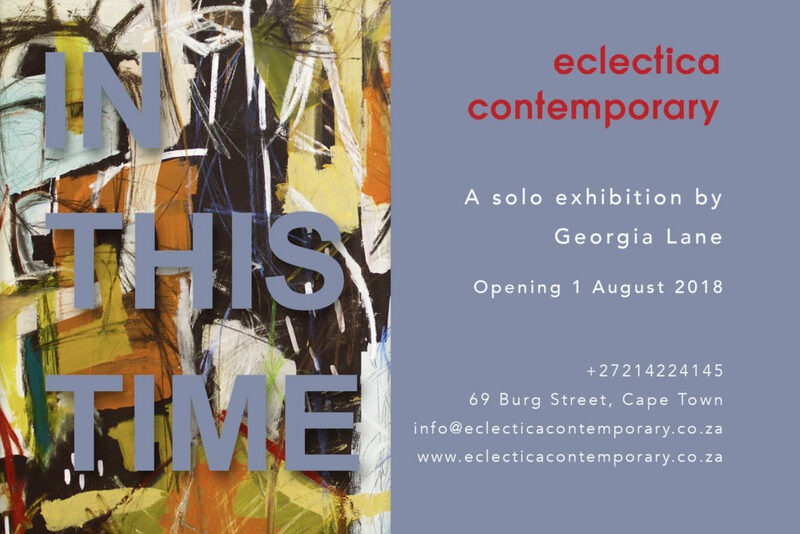 Exhibition opens Thursday, 03 August 2017, 18h00, at 69 Burg Street, Cape Town. 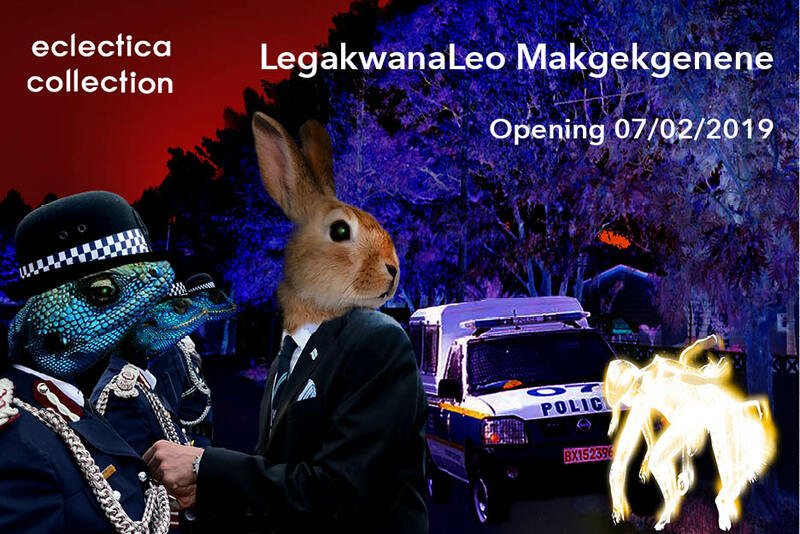 Exhibition opens Thursday, 01 June 2017, 18h00. Beauty is relative and changes as does fashion. Art, often thought of as the exemplary case of the aesthetic, does not implicate a definite notion of beauty and the so-called classical is no longer a tenable notion. This was made palpably obvious with Duchamp’s Ready-mades and later pop art and the resultant breakdown of a rigid distinction between art and life. However, to complicate the issue when we speak of beauty it need not simply be a reference to formal, surface components, but to an extra-aesthetic dimension in which case one might speak of the beauty of an idea or the opposite, in which case the resultant aesthetic is not free of context in which it is born – beauty itself is thus more than simply the exterior garb. This one might term the postmodern acknowledgement that local histories rather than global, overarching truths and corresponding constructs of beauty mean that, at best, the aesthetic dimension ought not be considered the final word or rather the visual correlate of a or any system. There is thus no necessary ultimate form or conception of what is beautiful. Beauty as redemption may be a lie, a veneer and surface that masks (or reveals) an ideological system bent on power and coercion. And beauty can be redemptive if it is defined in terms of a logical truth perhaps in the form of a mathematical equation or a more emotive one, like an honest smile to another. Art often sees the ugly truth. Beauty can be canonised and art its favourite emissary. But perhaps most significantly, art may offer new visions of beauty qua truth/s. 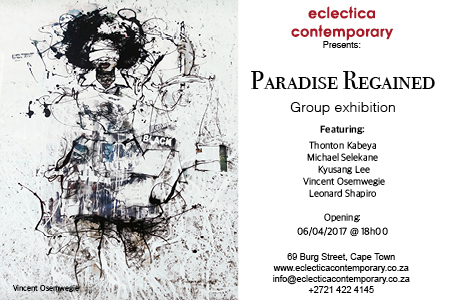 Eclectica Contemporary is honoured to announce the opening of Paradise Regained, a group exhibition featuring: Thonton Kabeya, Michael Selekane, KyuSang Lee, Vincent Osemwegie and Leonard Shapiro. 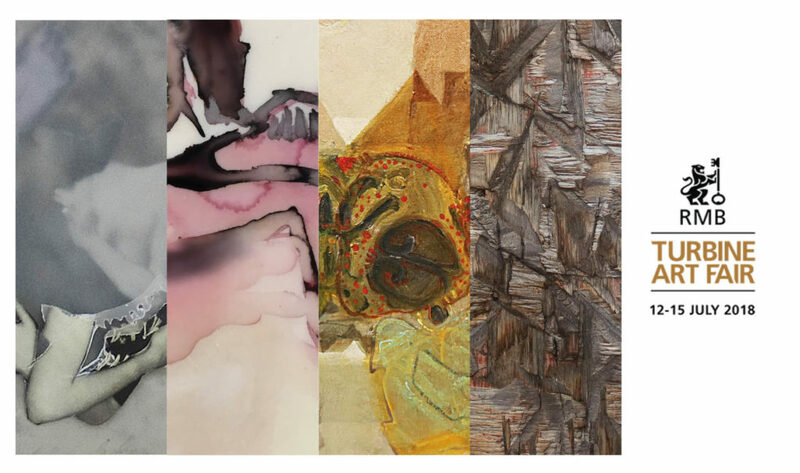 These exceptional artists were invited to participate in a group exhibition the theme, of which is directly inspired by John Milton’s epic poem, Paradise Regained. The artists who each, in some way, break the boundaries of their chosen media and practice, have been left to freely interpret the theme as they wish. 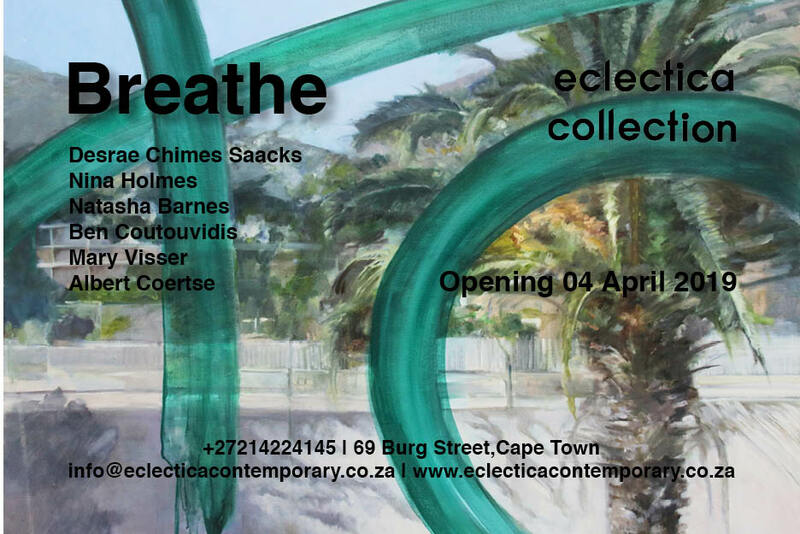 Exhibition opens Thursday, 06 April 2017, 18h00. From the Stone Age, Bronze Age and Iron Age to this Age of multi-material, technological response following the industrial revolution 250 years ago. The ages of human technologies have been defined by our access to and ability to use different mined resources. Mining provides us with all the ingredients to manufacture the technologies of our contemporary world. Behind mining are rich and contentious histories that have shaped social hierarchies. The exhibition title encompasses bodies of work responding to different aspects of humans engagement and interaction and use of the wealth extracted from our planet, Earth. Ley Mboramwe on Show with Asanda Kupa! He uses the body as a mirror to the soul. The exhibition opens Monday, 24 October 2016. 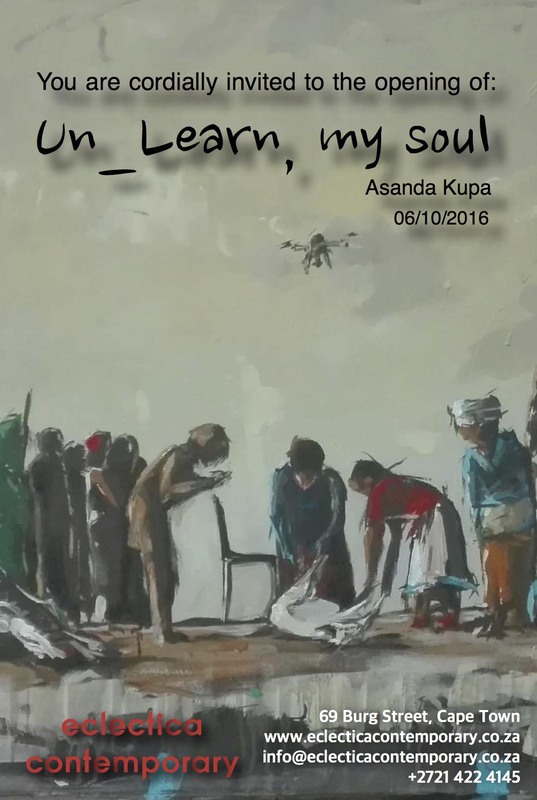 Asanda Kupa is a rising talent amongst South African painters. 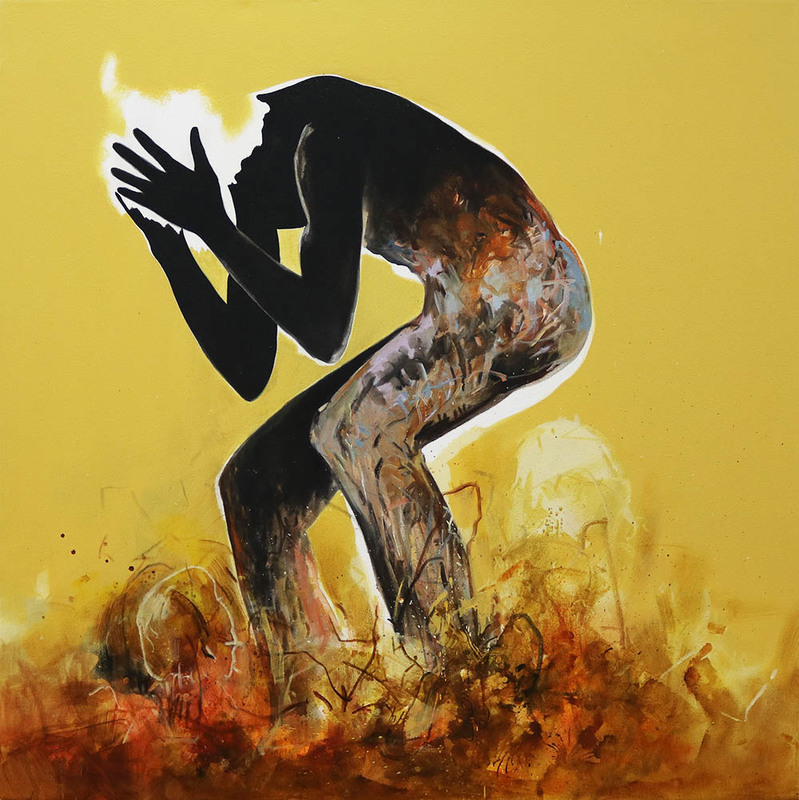 He was born in Molteno, in the Eastern Cape and has always been drawn to the illustrative arts. 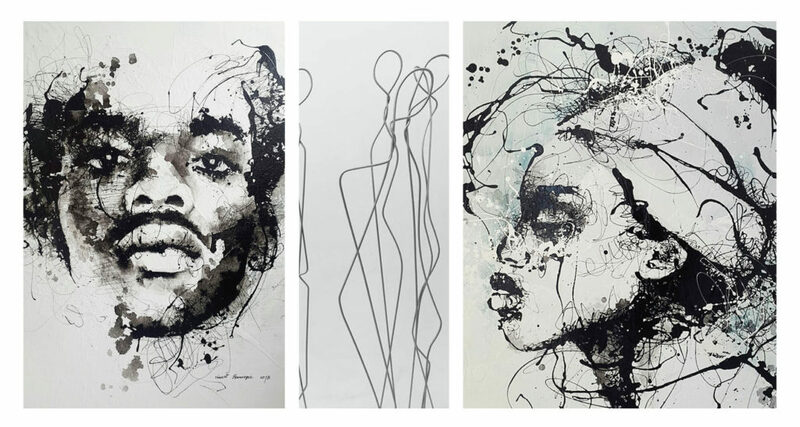 His expressive mark making and abstraction of the human form creates a vivid and moving body of work that seems to explore change, progression and alteration through the language of narrative painting in a uniquely abstract manner. Kupa’s gestural works command a great presence in each space they can be found and his investment of time, energy and emotion as well as immense skill becomes apparent. The opening of the exhibition will start on Thursday, 6 October 2016 at 18h00. 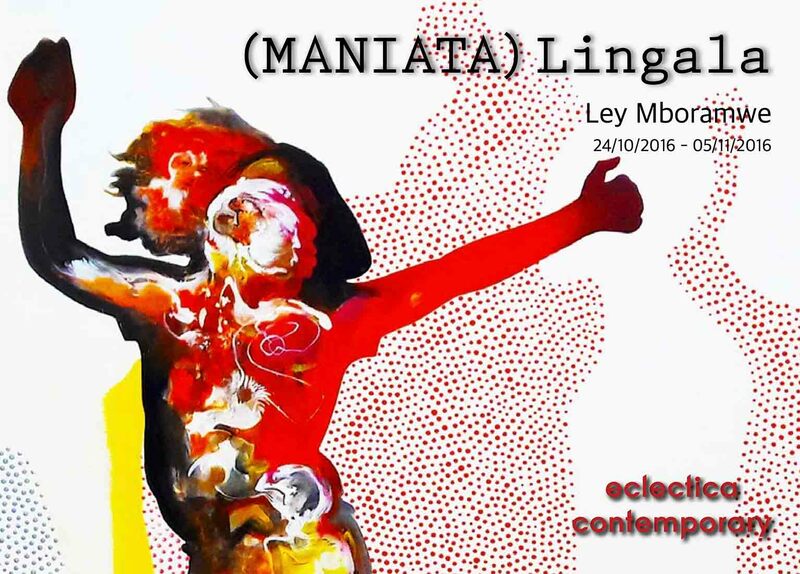 Restone Maambo’s first solo show is held at Eclectica Contemporary from the 1st of September 2016. The works are painting and mixed media on canvas and work through the theme of Levitation.